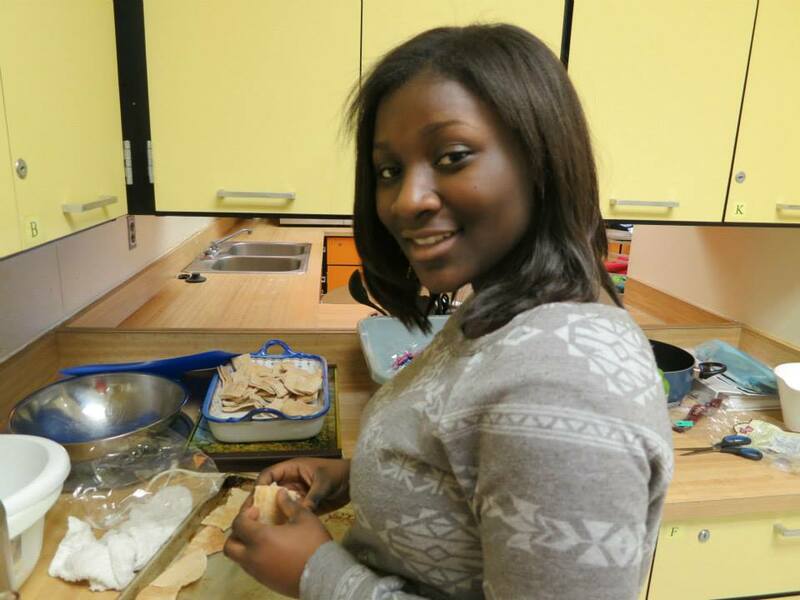 December 20, 2013 February 17, 2015 sheilacryeLeave a Comment on Young Chefs Grand Finale Party! 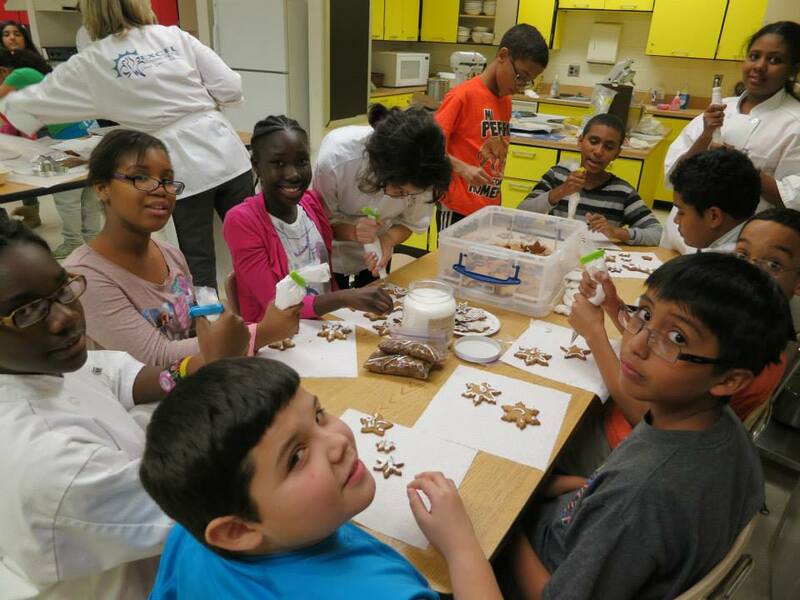 Young Chefs Grand Finale Party! 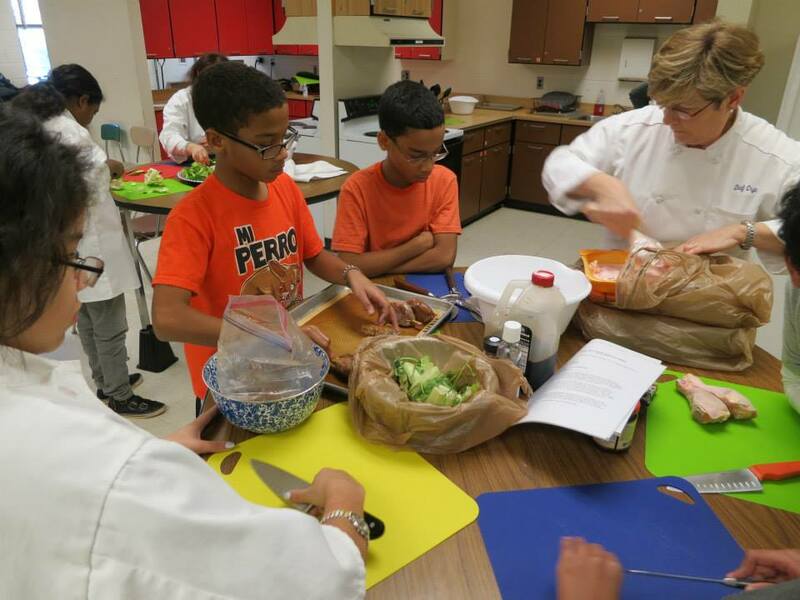 Our Young Chefs after-school cooking club is one of the free Excel Beyond the Bell activities offered at some Montgomery County (Maryland) middle schools. 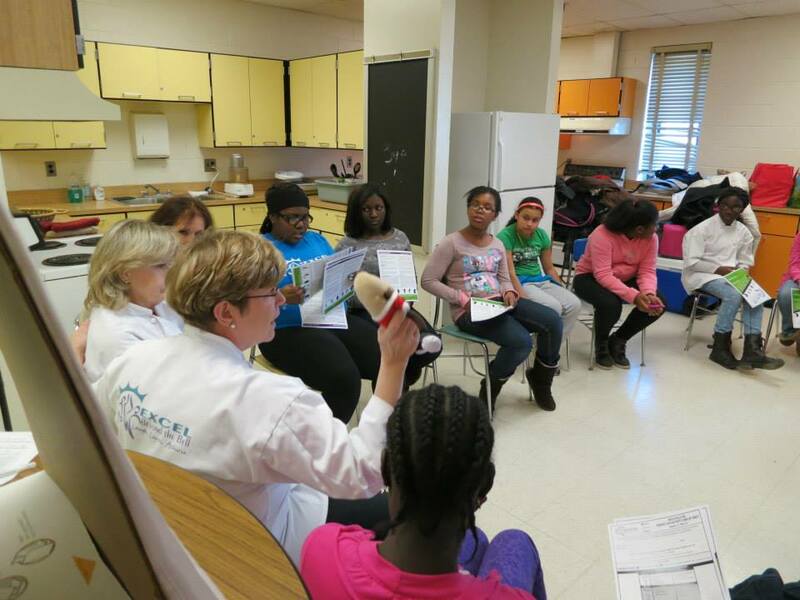 Each cooking club meeting begins with Circle Time. Whoever is holding “Mr. Potato” has the floor. The rules: Everyone has a turn to talk. You can pass, if you like. No put downs! I showed youths how to “French” a chicken drumstick. We prepared the drumsticks for the party to be held the following afternoon, so that the chicken could soak up the Chinese Barbecue marinade overnight. M. toasts pita chips to go with Jacques Pepin’s warm white bean puree. 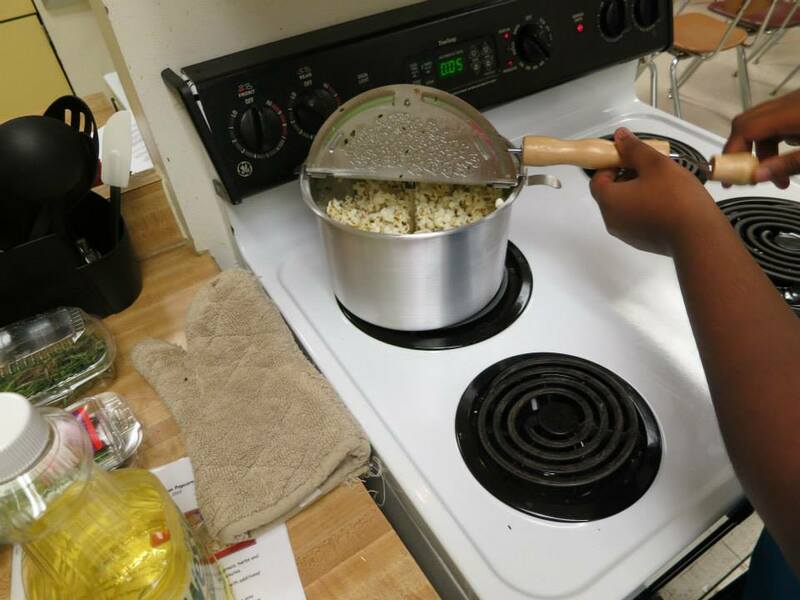 We used Chef Catherine’s Whirligig popcorn popper to make Garlic Herb Parmesan popcorn. The cooking room smelled divine! Chef Catherine uses plastic chip bag clips to secure the end of the pastry bags. How’s that for multi-tasking tools? 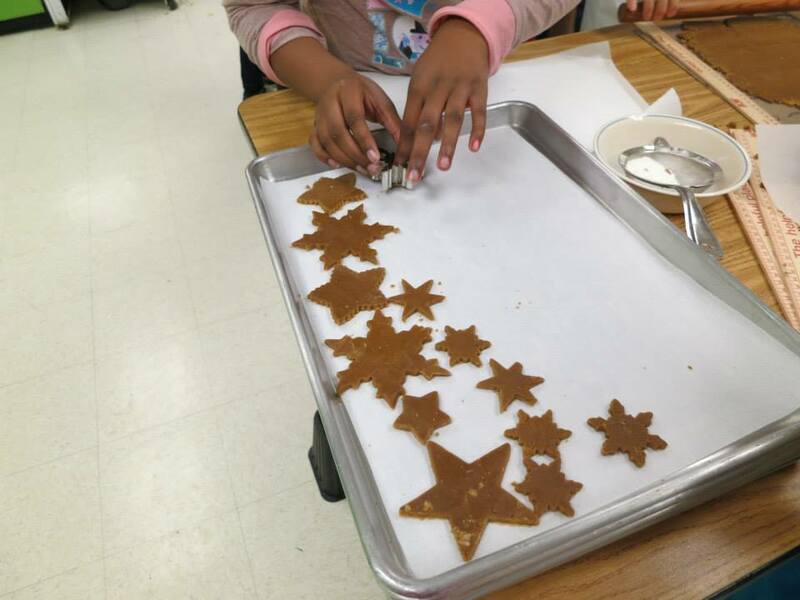 Chef Catherine shared her trick for rolling out gingerbread cookies evenly: Place lengths of yard sticks on either side of your rolling pin. 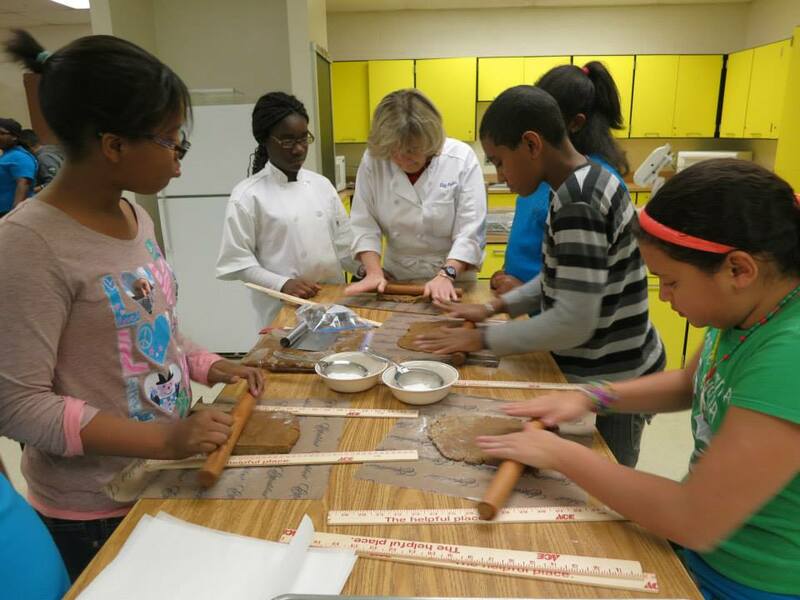 The thickness of the yardstick is just right for rolled cookies. Part of the fun of learning to cook and bake is finding ways to make our favorite recipes taste great — and make great nutritional sense. 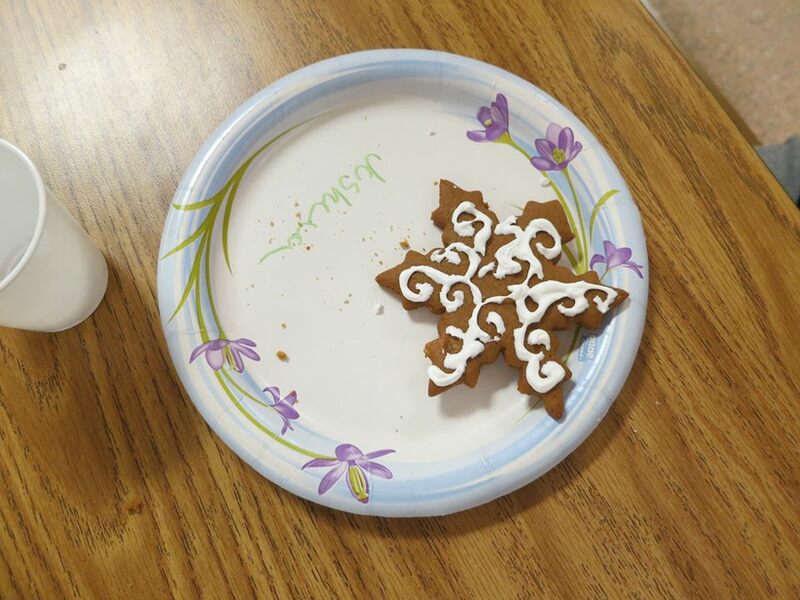 For the perfect balance, we used 50% white whole wheat flour in our gingerbread cookies.